I personally know the anxiety that comes with pricing your product and having to negotiate that price. If you’re not a born saleswoman who lives for the challenge of negotiation, easily finds your way to the best price with a customer, and has no problem raising prices, you GO girl. For many of us, though, we often struggle to find the price that we believe is fair, within our customers’ budgets, indicative of the value we offer, and aligned with the costs incurred to deliver the service or product. 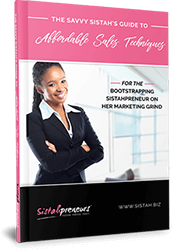 Here are a few suggestions for thinking through pricing if you’re one of the sistahs with sweat on her brow when this topic arises. Remember to price by man-hour, not hour. This means every paid worker who contributes to delivery of a service or product should be accounted for in your billing. If you have to outsource, be sure to count the costs of that hire based on time as well. Calculate planning time in our hourly billing. How long does it take you to prepare, plan, and organize between interactions with clients? This should be included in your cost. Time is value no matter how it’s spent. If you want to make a profit, then including your costs in your pricing is essential. You’ll need to calculate cost per widget (product/service). Calculate the goods and supplies you purchase in order to produce and deliver. Include the labor costs – wages for workers who help you build and deliver. Add up your fixed costs and your variable costs for the year divide by the number of products/services you sell. This is likely a estimate but will give you some idea of your costs. Writing it down makes a difference. You may think you know what you’re spending but once you actually write it down, you may find that you are spending more than you are making per service or product. Think carefully about your expertise when pricing your products and services. How well do you know and understand the ins and outs of your product or service? Are you a leader in the industry? Do you train or develop new people in the industry? Are you an innovator in the sector who has led new thought or created new methods or products? Some waxing salons tier their service pricing based on the expertise of their practitioners. Check out how this waxing salon has pricing for junior, senior and master level staff. Do you have a niche – a special approach, method or framework that makes your way or offer different from the competition? These things make it harder to find others like you and replace you. Consider increasing pricing based on your expertise or niche. Is there low availability or very little competition for what you offer? If it’s hard to find someone else who sells your products or services, than it’s also easier to charge more. 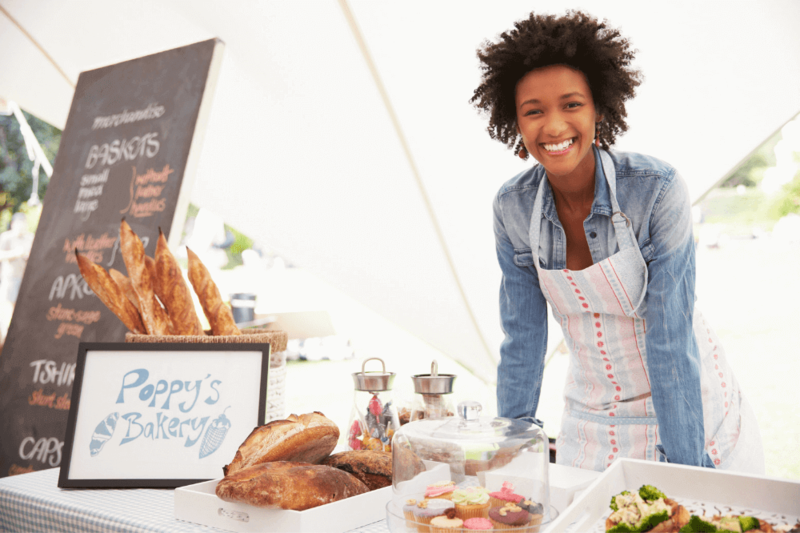 Customers aren’t likely to abandon your offer because they don’t have many options. On the contrary, if your offer is on every street corner, be strategic about discounts, bonuses, add-ons, and incentives in order to lure prospects away from the competition. What is the urgency for the customer? How desperate are they to attain your product or service? How soon do they need it? If you are satisfying an urgent need, take this into account when marking up your product or service. However, keep in mind that it is very hard to sell to customers who don’t know or believe they need your solution, product, or service. Make sure you do the tough work and deep analysis of discovering your customers’ pain points and dire needs. Too often, I see entrepreneurs attempting to sell to clients who don’t take their product or service seriously because they either don’t solve an urgent or compelling problem or inconvenience, or the entrepreneur has failed to articulate value in relation to the client’s pain points. They instead talk about how fabulous the product’s features are. Make sure you articulate the takeaways and outcomes that solve your customers’ problems and meet their needs. Hopefully these concepts help you monetize and price what you’re worth and what the market will bear! Let us know below: what pricing strategies have you used and how have they worked out for you?